Darren joined chambers after spending three years at the employed bar for a specialist firm of criminal defence solicitors as their in house criminal advocate. He is known for providing an effective and efficient service for both lay and professional client delivering quality oral and written advocacy. Darren accepts instructions for both publicly funded and private clients in the Crown Court and Magistrates’ Court. He has successfully defended at trial numerous clients, notably for s.18 GBH, violent disorder, robbery, serious drugs offences, knife and offensive weapons, theft in breach of trust (by a employee), racially aggravated offences and fraud. Additionally he has successfully undertaken appeals to the Crown Court and drafted grounds of appeal for the Court of Appeal. He is experienced at dealing with matters under the sexual offences (including possession and distribution of indecent images), kidnap, robbery and drug offences. 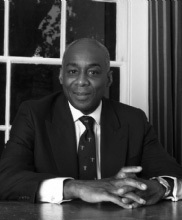 He has also experience in dealing with defendants with issues relating to mental health. He has also worked on the preparation of murder trials including the drafting of various applications relating to experts and prior authority with the LAA. Other notable defence work has included conspiracy to import drugs and cases involving multiple defendants and paper heavy cases. Darren is a level 2 prosecutor on the CPS list. R v LB Woolwich Crown Court 2017 – defended client initially charged as part of multi-million pound international conspiracy to commit fraud. The case involved legal arguments about admissibility of evidence and evidence as rebuttal. R v PA Woolwich Crown Court 2017 – Led by QC in attempted murder. Case involved legal arguments regarding European Arrest Warrants, gunshot expert and CCTV evidence. R v TA Old Bailey 2017 – During the early stages of murder trial which involved transfer of malice. I was involved in the advice and instructing of expert witness relating to gunshot wounds and pathology. I also drafted S8 applications for further disclosure. R v JG Harrow Crown Court 2017 – successfully defended client accused of knife point robbery and assault. R v JM Southwark Crown Court 2017 – Successfully defended one of four defendants charged with conspiracy to commit fraud. The case involved over 10,000 pages of served evidence. There were legal arguments about admissibility of telephone evidence. R v NA Isleworth Crown Court 2017 – Defended 18 year old charged with Section 20GBH. R v LD Isleworth Crown Court 2017 – Successfully defended one of three prisoners charged with S20 GBH and robbery that occurred In HMP Wandsworth. R v MH Woolwich Crown Court 2017 – Defended one of nine accused of conspiracy to commit fraud. The case involved over 100,000 of served evidence. R v PP Harrow Crown Court 2017 – Defended one of six charged with conspiracy to launder money. The case involved over 100,000 pages of served evidence. R v DG Isleworth Crown Court 2017 – defended one of two charged with false imprisonment and assault. Case involved legal arguments about cross admissibility of co-defendant. R v UT Southwark Crown Court 2017 – defendant charged with sexual assault and ABH. R v JD Harrow Crown Court 2016 – successfully defended one of six defendants charged with conspiracy to commit fraud. The case involved over 10,000 pages of served evidence. R v DP Isleworth Crown Court 2016 – first defendant in multi-handed aggravated burglary. Defendant was 15 years old at the time of the offence. R v OW Kingston Crown Court 2016 – defended one of two defendants charged with ABH road rage. There were legal arguments relating to bad character of the complainant and also admissibility of video recording. R v HS Croydon Crown Court 2016 – defended client accused of conspiracy to commit fraud. Case involved over 10,000 pages of evidence. Successful dismissal application. R v NB Maidstone Crown Court 2016 – Led in S18 trial involving four defendants. The case involved legal arguments on identification and breaches of PACE during interview and investigation process. R v EO Luton Crown Court 2016 – Sentencing for defendant charged with bringing drugs and mobile phones in to HMP the Mount. Client received a suspended sentence order. R v KJ Isleworth Crown Court 2016 – secured bail after three previously applications for defendant who had spent 19 years on the run after allegations of conspiracy of possession with intent to supply. R v DVJ Southwark Crown Court 2015 – Client one of three charged with conspiracy to import class A drugs from colombia (100kg of cocaine). The case involved S2 RIPA evidence including covert recordings and surveillance. Case involved legal arguments on disclosure and severance. R v ZP Harrow Crown Court 2015 – Secured bail for defendant charged with attempted murder. R v PO Isleworth Crown Court 2015 – Sentencing for client charged with PWITS class B and subsequent proceeds of crime hearing. R v FG Blackfriars Crown Court 2015 – Successfully defended a client charged with S20 GBH during a street fight. R v KL Southwark Crown Court 2015 – successfully defended one of three defendants charged with stealing motorbikes to order. R v DW Old Bailey 2015 – second junior to QC in a murder trial with co-defendants. Case involved CCTV, cell site material and locating defence witnesses outside the jurisdiction. Client was acquitted.